I found my life Chukar last year near Grand Mesa in Colorado. 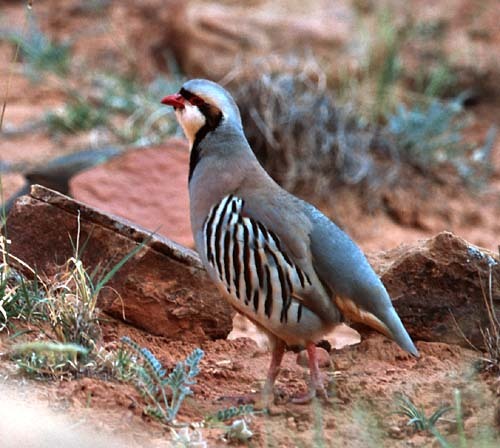 This time there were two Chukars right near the trailhead, between the trail and Grand Wash. They did not seem disturbed by my presence. I guess they're used to hikers staring at them. Some other Chukars were heard calling.